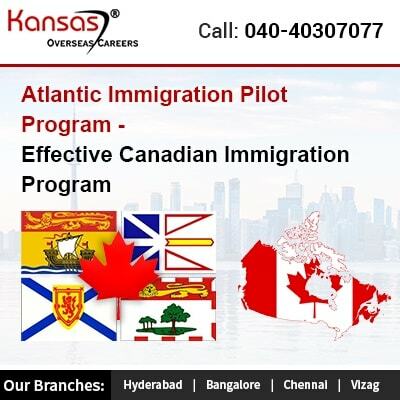 Two years back, Atlantic Immigration Pilot Program was launched. Its objective is to match the international workers with Canadian jobs. The Atlantic Immigration Pilot (AIPP) program is very successful from the time it was implemented; it offers an effective way to the nation to match with overseas workers with job vacancies which the employers of Canada wish to get filled sooner. For this program, the Canadian government increased the quota as it felt, that AIP brings good results. It as created additional space for nearing to 500 workers as well as families to pursue jobs in the Atlantic region. Recently in this month, the Prince Edward Island Province announced as they are still required overseas workers so that they can fill a set of jobs, specialized in nature before the completion of this year. The above program proved to be one of the successful models, which helped Canada Immigration to welcome new immigrants to Canada ensuring them, they will have employment opportunity. The immigrants face a challenge to seek a job after they enter the new nation, this model can be very well adapted even to the national level. It helps bring more and more new immigrants to Canada with a job already available to fill in. An applicant who gains an employment offer can start the application with AIP. Successful applicants for this program would arrive in Canada with Permanent Resident status along with employment offer lined up. Personalized settlement plan is available for the self and family. The other significant benefit is, employers while hiring the overseas workers under AIP, they do not need a Labour Market Impact Assessment (LMIA) to hire foreign workers. The above process can be both costly as well as lengthy. Hence AIP ensures, the overseas workers soon fill the Canadian jobs with greater ease. To know as to whether you have a good chance to immigrate with AIP or any other Canada immigration program, get in touch with our Canada visa agents. They will be more than glad to assist you. Thank you for connecting with us. please share your details mail di,phone no. .our concern department call back to you.